Advantage plans are typically set up in a region covering several counties, or an area within the state, or the entire state. When you enroll in an Advantage plan, should you move out of the plan’s service area, you will need to choose another plan for the service area of your new residence. Most Advantage plans sold today utilize a network of doctors & hospitals for you to use. They are contracted with the plan and agree to see you for the plan’s contracted rates. Your charges (copays and coinsurance) are determined by the plan’s Schedule of Benefits. For example, you may pay $10 to see a primary care physician, $25 to see a specialist, $250 for outpatient surgery, rather than paying the Medicare Part A deductible and Part B deductible & 20% coinsurance. They are all required to have what is called an Annual Maximum Out of Pocket – this protects you against catastrophic medical bills, unlike Medicare Parts A & B. This means your copays and share of the bills can never be more than the Annual Maximum, which is usually set at $6,700 or lower – depending on the plan you choose. Outpatient prescription drug costs do not go toward your Annual Maximum Out of Pocket. If your plan includes prescription drug coverage, it must abide by CMS guidelines. See the page for Part D Prescription Drug Plans. Some plans will offer reduced costs for using their mail-order service, limited coverage through the Gap, or other savings for using specific preferred pharmacies. Many plans are offered at $0 monthly premium. You read that right! How do they do that? 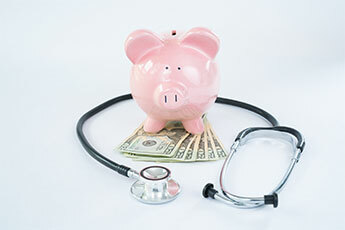 Medicare pays a fee to the insurance company each month for every member it enrolls. The insurance company then uses that money to pay your claims and administer your plan. And, the higher the plans star rating, the more money it receives. Usually, but not always, plans with lower Annual Maximum Out of Pocket costs will have some type of monthly premium. In Florida, most plan premiums range from $0 to $75 per month, but some are higher. Downsides to an Advantage plan can be that they are managed care plans, and many services require prior authorization, and most HMO plans require referrals prior to seeing a specialist. When enrolling, you agree to stay enrolled for the balance of the calendar year. However, they are becoming more popular every year. Many people like the fact that they only pay for the services they receive. They also like the extra benefits that can be included (unlike with Medicare Parts A & B) such as: fitness club memberships, routine eye care, routine hearing & hearing aids, nursing hotlines, OTC benefits, foreign emergency benefits and more. 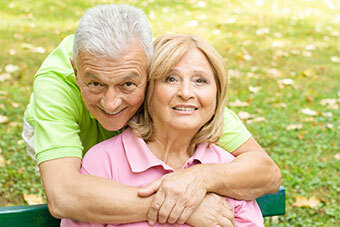 Which is better: Medicare Advantage Plan or Supplement Plan? 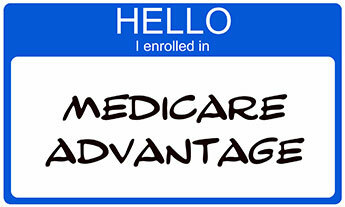 An Advantage plan can be great for someone that doesn’t use many medical services as you only pay for the services you receive. Many plans can be had for as little as $0 monthly premium. However, all plans (with the exception of PFFS plans which are not very popular anymore) have networks, so to get the lowest costs, you will want to use in-network doctors/facilities. HMO’s always require you to use in-network providers, except in the case of a life-threatening medical emergency and urgent care. Also, many services require prior authorization, and many HMO’s require referrals to see specialty doctors. But, they do come with extra benefits you don’t get from Medicare or a Supplement, like fitness club memberships, vision, hearing, etc. Our customer service doesn’t stop when your policy arrives in the mail. We’re there for you year after year because as your needs change, so too should your Medicare Advantage Insurance Plans. We have met so many wonderful people in this community, and we look forward to meeting with you. Contact us today by completing our easy online request form or for the quickest response please call (239) 201-4560. Give us the opportunity to work for you-you’ll be glad you did!